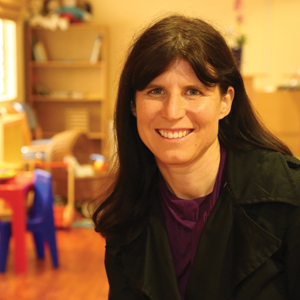 A paediatric dietitian specialises in creating and evaluating nutrition programmes and policies for children from infancy up through 18 years of age. They translate scientific information about nutrition into practical advice to help people make health-conscious decisions about food. They assess, diagnose and treat diet-related problems and aim to raise awareness of the link between food and health to prevent future problems. provide nutrition services for schools or community centres, such as creating student breakfast and lunch menus, overseeing food production in school cafeterias, or providing shopping and cooking advice to families. Why paediatric dietetics? I wanted to study something in the medical field and wanted to work with children. I had a great love for nutrition as well as clinical (hospital) work. So becoming a clinical paediatric dietitian seemed like the perfect combination. I loved the idea of working with parents to improve the health of their families, and especially children. I feel dietetics is a very proactive and preventative form of medicine. It also plays a critical role in special needs children and ill children. Describe a typical day There are wonderful dietitians working in government and it is a very fulfilling place to work, especially in paediatrics. However, these days I run a private practice, which means I don’t work in government hospitals anymore. My day generally starts with private practice patients in my rooms and we discuss diets and meal plans. My paediatric patients vary and some of the issues I deal with in a day can be anything from weight loss, allergies, constipation, fussy eating, weaning and breast-feeding advice to children with cerebral palsy, Down’s syndrome and epilepsy. I then go to the private hospitals that I look after and do ward rounds. This may include neonatal ward rounds with a neonatologist (a specialist doctor who looks after tiny, sick babies and premature infants). It may include going around the paediatric heart ward or the paediatric ICU. My job is to make sure these babies and children are getting the best nutrition in the safest way possible. What training did you do? I studied a BSc in Dietetics. I completed a postgraduate diploma and honours, which then enabled me to become qualified as a clinical dietitian. In South Africa you can’t specialise as a paediatric dietitian so I had to study overseas for this and did a Diploma in Paediatric Dietetics, which was another two years’ part-time study and practical experience. This was the best thing I could’ve done. I gained so much knowledge of paediatrics. What do you enjoy most? I love my hospital work and special needs babies and children; I love the challenge of working out a medical diet and then seeing the amazing results. I work with a special diet called the ketogenic diet and we use it for children who have epilepsy. When some of these children go on this diet they stop having seizures. These are the most fulfilling moments. Hurdles you have overcome? Overcoming the fact that in SA we don’t specialise in areas of dietetics, so everyone does everything. I firmly believe in specialisation, as it benefits the patient. So, to be accepted as a dietitian that only handles paediatrics has been a challenge, but has turned out very positively. Experience or training? You need a large amount of both. I’ve learnt more about children by having my own kids than I ever did in any textbook. Which traits are required? You need to be a lover of children, but also know how to work with adults (parents), so confidence is key; attention to detail is important as special needs diets need to be calculated accurately; and, a thirst for knowledge and willingness to change, as in the world of nutrition/medicine new information comes out all the time, so you need to adapt. In order to work as a paediatric dietitian, at least a bachelor’s degree in nutrition or dietetics is required. A National Senior Certificate that meets the requirements for this degree is needed. The undergraduate degree can be completed in four to five years, depending on whether the degree programme includes an internship option. In addition to general coursework requirements in the humanities or liberal arts, you may study the following topics: human metabolism of nutrients, food science, human physiology, biochemistry, and nutrition and health. Paediatric dietitians are required to register with the Interim National Medical and Dental Council of South Africa before being allowed to practise legally.